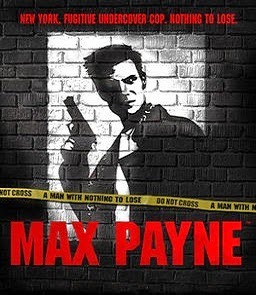 Max Payne is a third-person shooter video game developed by Remedy Entertainment and published by Gathering of Developers on July 2001 for Microsoft Windows. Ports created later in the year for the PlayStation 2, Xbox and the Game Boy Advance were published by Rockstar Games. Publisher: Gathering of Developers (PC). Highly Compressed To 540 MB. 1. First Open - "Max Payne.exe" Setup File. Note: If You A Win 7 or 8 User Then You Have To Follow Bellow Steps To Run The Game. 1. First Install The Game By Follow Above Steps. 2. Now Right Click On Desktop Icon (Max Payne) -> Propertise -> Compatiblity. 3. Select Compatibility mode -> Windows 98 / Windows Me. Hit Apply and OK.
Kindly Upload the compressed file of max payne 2. Yes it testes with win 8. Try to run it as administrator. Thank You Very Much !! I Am Add A Video On Youtube How To Download Max Payne 1 On PC !! The Video Link Is : https://www.youtube.com/watch?v=HjFqvcCV1TQ Thanks Again !! Note : The Video Is Arabic Ok ! does it work with win 10?